falafel. gnocchi. couscous. all food words that i love saying. and EATING. i need to start a list of funny food words. okay, so who knew that falafel was literally fried hummus? not me. that would explain why i love ordering falafels so much. Directions: Combine all ingredients (except for the last one) into a food processor or blender. After mixture is mushed together, pour into large mixing bowl. Add bread crumbs and knead mixture together. Take a half-handful of the mixture, roll into a ball, and flatten into a pattie. Fry pattie in skillet until brown. 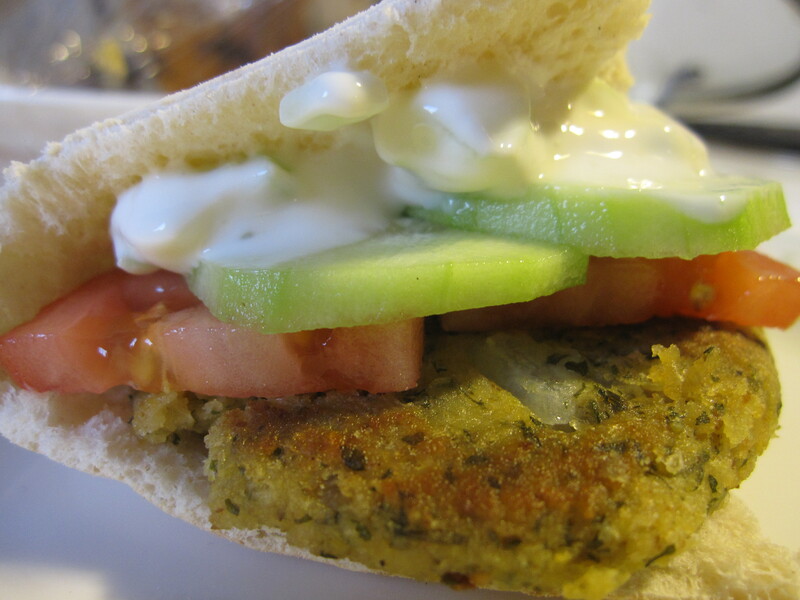 Serve with warm pita bread, cucumbers, tomatoes, and plain yogurt.